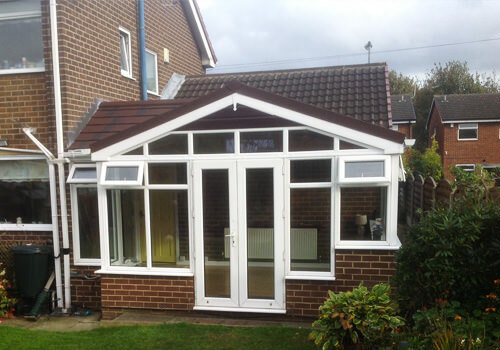 Transform your conservatory and utilise your living space. 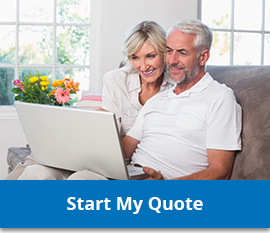 Upgrading to a Guardian Warm Roof is an investment, and an extension, to your property in Southampton or Eastleigh. Why limit your conservatory to a seasonal room? Take advantage of the extra living space and love your conservatory all year round. Advanced Exterior Plastics can replace your current roof, no matter what it’s made from. The installation is carried out by our experts, taking only days to complete with minimal disturbance to your home life. These stylish conservatory tiled roofs are made by fitting internally insulated plasterboard and two further layers of rigid insulation board. Vapour membrane is added to work alongside the insulation board, trapping the warm air. The result is an energy efficient, stunning addition to your home. 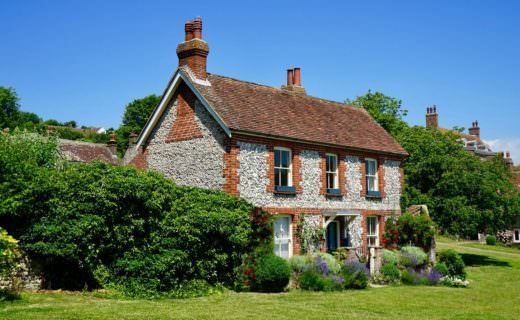 Tiled Roofs are both aesthetically pleasing and thermally efficient. 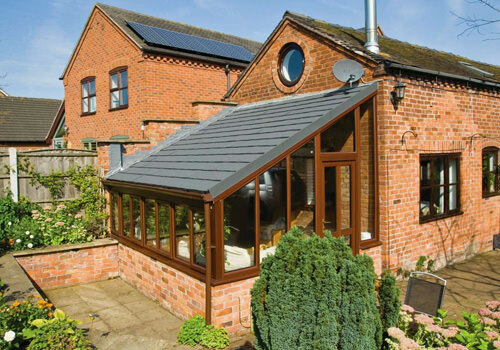 A high performance and lightweight roof designed to retain heat inside your conservatory, without increasing your energy bills. We supply a large variety of stylish tiles that complement your property, enhancing the character of your home. 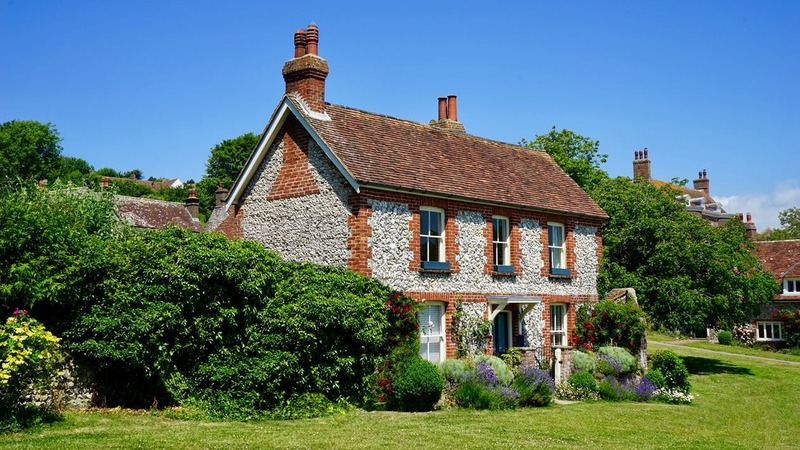 How are our Guardian Tiled Roof constructed? This short video guides you through the step by step process. Perhaps you need a larger dining room? Somewhere for the kids to play? Or a bespoke office to work from home? 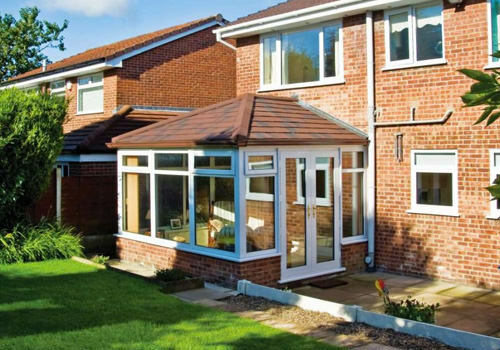 Whatever your reasons, Advanced Exterior Plastics offer you the chance to get more out of your conservatory. 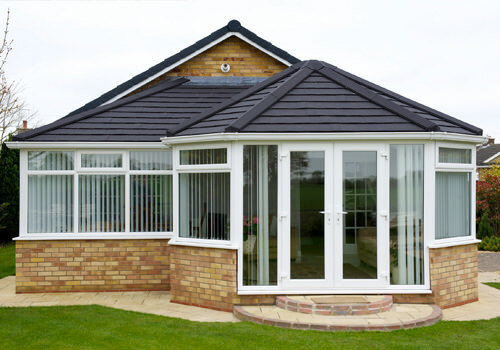 Our Beautifully finished Guardian Tiled Roofs are an attractive solution to extending your Hampshire property and insulating your conservatory. This classical English design meets an Edwardian style. Complete with rooftop Windows, we believe this to be the most alluring of the range. 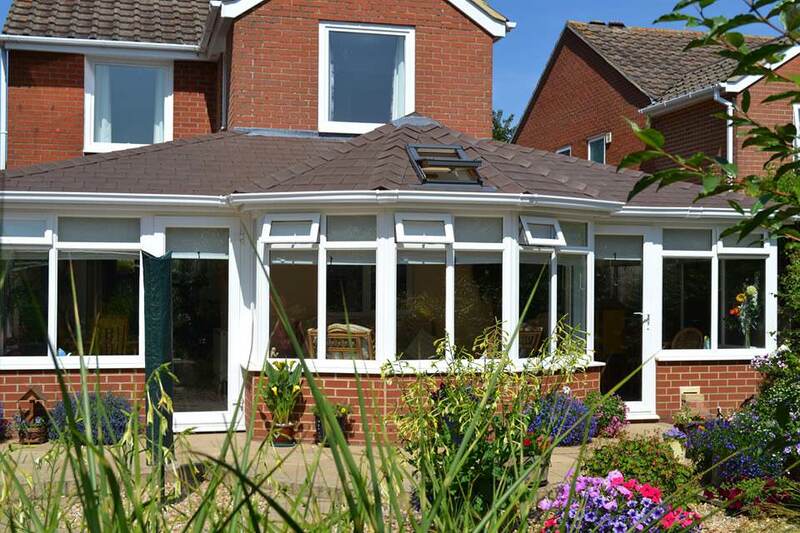 This bespoke tiled roof helps maximise the space below and greatly improves energy efficiency in your conservatory. 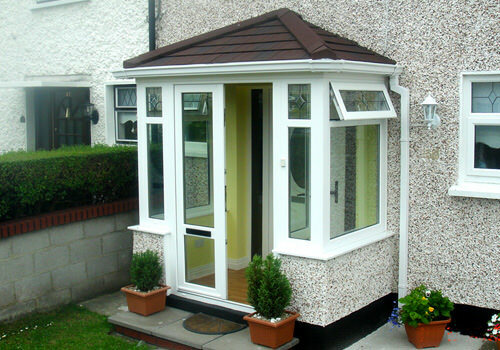 This contemporary styled tiled roof boasts far more options for door positioning than any other style. The 3-facet design is stylish, modern and continental all in one. A welcomed and contemporary alternative to the Edwardian Warm Roof. 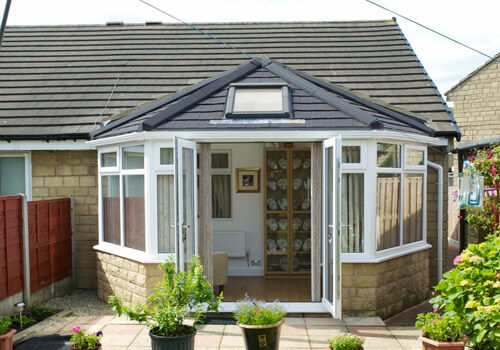 This clever Tiled Roof has been specifically designed to offer maximum space to the back of your home. This Warm Roof can be tailored to fit an area as low as 15 degrees, with roof windows for added natural night. 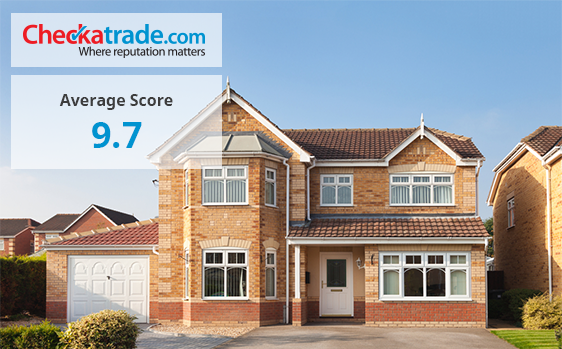 Add value to your property and benefit from the added security that a Tiled Roof porch offers. A minimalistic and stylish rendition to your home. 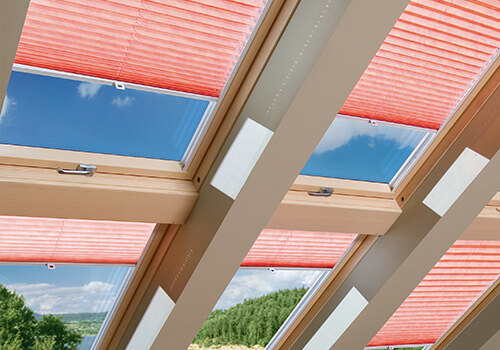 Choose the most stylish and popular choice of roof windows. The intelligently designed centre pivot means that the sash can be opened in multiple positions, greatly increasing ventilation into your conservatory. What’s more, the sash can be rotated through 180 degrees, and locked. A Gable Roof maximises the height available, by running a ridge down the depth of the roof conservatory. Our Gable roof retains a traditional look by adding a glass frame at the front. Maximise the natural light in your conservatory by investing in a Gable Roof. 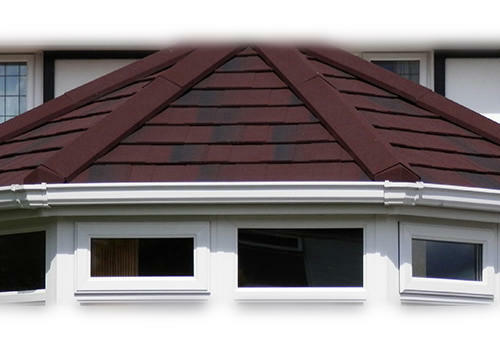 Struggling to choose from our diverse range of tiled roofs? We offer a Combination roof; a unique rendition to your home. Convert your conservatory into an all year round, multi purpose living space. The Metrotile is the only lightweight steel roofing manufacturer that can offer a massive forty-year guarantee on all of our profiles. Our lightweight steel tiles are forged from 3 steel, the highest grade in the industry. 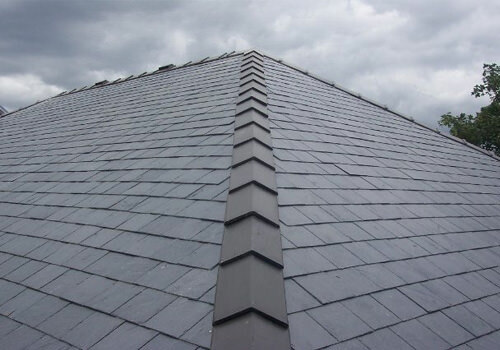 Ikoslate is crafted from recycled materials, the only approved lightweight slate for use with Guardian roofs. Ikoslate is made from 99% recycled materials, its unique structure makes it easy to install. The Ikoslate retains superior strength, certified to endure winds of up to one hundred and ten miles per hour. 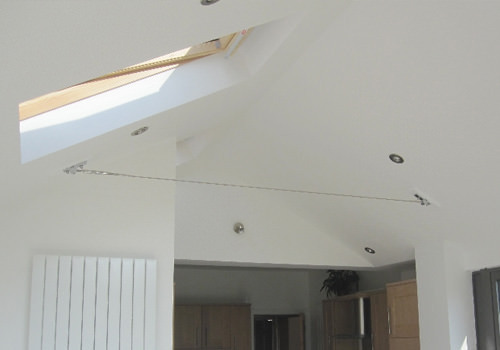 Unlike a traditional conservatory roof, Tie Wire is far less dependent on existing structural support. It was designed with a ‘top hat’ approach. Essentially the roof supports itself, by applying equal pressure from both sides. 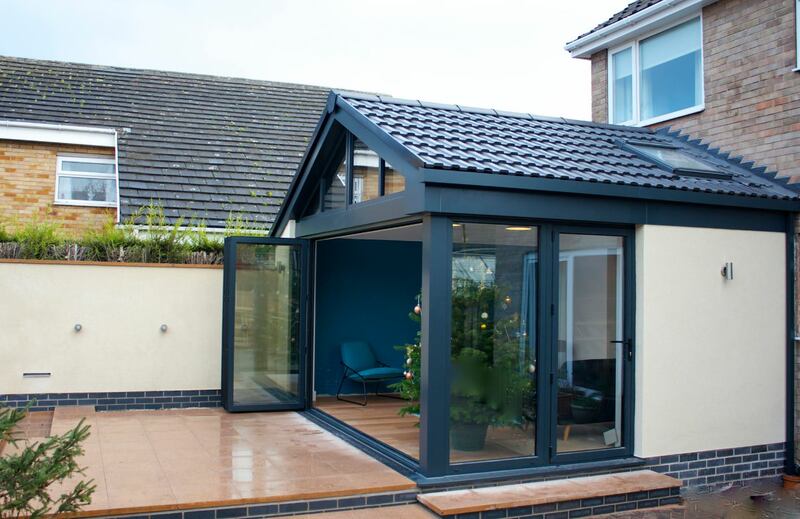 This has enabled us to provide a truly spacious feel to your conservatory. By supporting itself, this roof needs far less internal support.